BRANDON, Man. 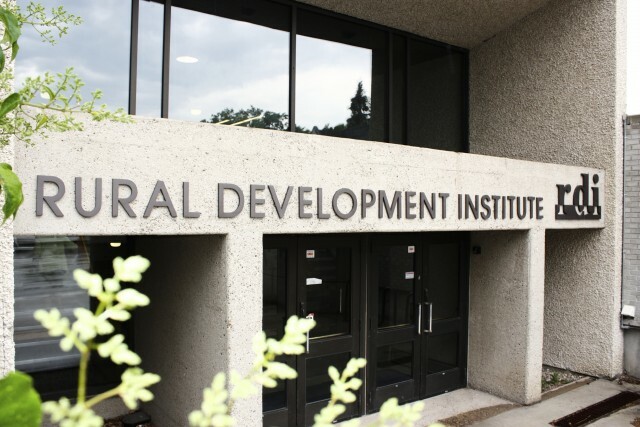 — There’s a cloud on the horizon, and a new report from the Rural Development Institute (RDI) at Brandon University (BU) points to a need for rural Manitobans to tap in. Data use and data requirements are rising rapidly. On Wednesday, Dec. 21, the Canadian Telecommunications and Radio Commission declared that broadband is a basic service and set a target that download speeds of 50 megabytes per second (Mbps) be available to Canadians. RDI is studying the use of broadband in rural areas in Southern and Central Manitoba. The researchers have found that particularly in sparsely populated areas, both access and use are issues that must be addressed together to keep up with worldwide trends. “Everybody treats broadband with a mentality of build it and they will come,” said RDI Research Associate Wayne Kelly. In the report “State of Rural Information and Communications Technologies in Manitoba” RDI lists several potential benefits of broadband investment, including attracting and retaining population in rural communities, improving business and economic development capacities, providing educational opportunities and increasing health system benefits. The study has provided a number of recommendations to increase access and use of broadband. Strategies to improve access include incentives for Internet service providers, communities and small-to-medium sized businesses to invest in broadband infrastructure to make the technology more widely available and affordable. Broadband use could be enhanced by establishing and enacting plans at the provincial and community levels, supporting digital literacy and ensuring that all levels of government are developing local content to help those in rural regions use digital tools. Monitoring those strategies and conducting research to fill in knowledge gaps are also critical. For the purpose of the study, broadband was defined as download speeds equal or greater to 1.5 Mbps. For perspective, RDI also included data from a recent CRTC report detailing access at 5 Mbps, which is still well short of the new target set in Wednesday’s ruling. The report, available at brandonu.ca/rdi/publication/research-brief-state-of-rural-information-and-communication-technologies-in-manitoba, is a building block for future studies on broadband in rural Manitoba, which could include looking at case studies that will examine the challenges and opportunities in communities.